is You. Let us Care for Your Oral Health. View and Learn More About the Services Our Office Provides. Providing Dental Implants in the Denver and Littleton area for over 25 years! Periodontics and Cosmetic Dental Implants in the Denver, Colorado area. Your comfort and feelings are our top priority. Our Denver dental Implant team is dedicated to providing you with the personalized, gentle care that you deserve. We want you, the patient, to direct the course of your treatment that best serves your needs. Most importantly, we LISTEN to you! Dr. Thousand is a periodontal specialist that focuses on the care and treatment of your gums and tooth supporting bone, as well as the placement of cosmetic dental implants. If you are visiting us based on information from your primary care dentist or just "surfing the web" looking for a solution to your dental implant needs you'll be in great hands. We welcome new patients whether referred from existing patients, friends, or referring dentists and physicians. Our team provides exceptional dental implant and periodontal therapy in the Denver area using the latest innovative and scientifically proven techniques. This includes such advances as computer directed dental implant treatment as well as "Teeth Today," where dental implants and teeth can be placed in a single visit. We also provide comprehensive periodontal services including cosmetic smile makeovers, periodontal cleanings, cosmetic gum surgery and non-surgical host-modulated periodontal care. Additionally, we offer many forms of sedation including oral and IV dental sedation. We genuinely hope this site is helpful to you in learning more about our practice, dental conditions, dental implants, dental recommendations, and more. As chosen by our professional colleagues. Denver and Littleton Colorado dental surgeon, Dr. Thousand, provides Dental Implants, Gum Disease Treatment, Tooth Ache Relief, Missing Teeth Replacement, Implant therapy for Dentures, and Bad Breath Prevention to the following locations: Denver, Littleton, Highlands Ranch, Centennial, Englewood, and Lakewood. 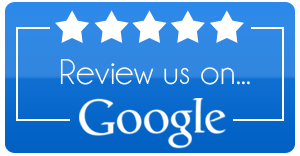 We encourage you to contact us with any questions you may have about Denver dental implants. Please call our office or use the quick contact form below. 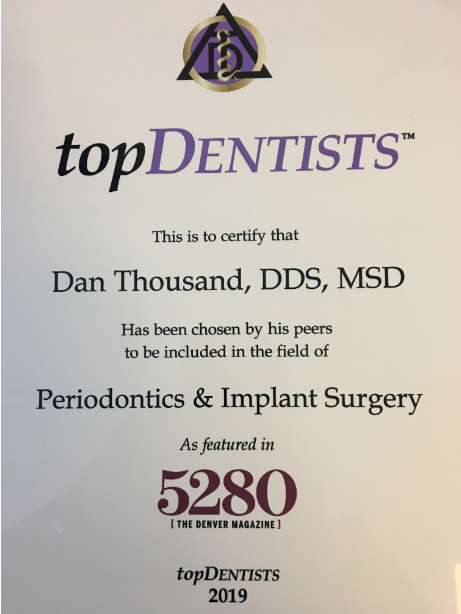 Littleton, Colorado Periodontist, Dr. Dan Thousand is dedicated to Periodontics at Denver Dental Implants such as Periodontal Disease Diagnosis and Treatment, Bone Grafts, Crown Lengthening, Dental Implants and more. Dr. Dan Thousand also serves the areas of Denver, Aurora, Highlands Ranch, Lakewood, Denver Tech Center, and the surrounding areas.